IHF Certification (Intuitive Healing Facilitator) with completion of Intuitive Training Level I & II! Our Intuitive Skills are our key to the process of spiritual awakening and ascension. Many people feel and sense so much but don’t know quite what to make of it. Learning how to identify and communicate with different energies, we can begin to forge a deep connection with our inner, highest guidance. 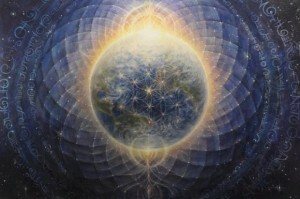 Classes offer an opportunity to clear and activate energy centers and systems. Clearing karmic contracts as well as societal and family programming support you in being a clear channel of pure source energy. This Intuitive Intensive Course is designed for those that feel ready to develop their intuitive ability and use it to bring harmony and healing to the world through Intuitive Healing Facilitation. Level I is about finding and utilizing intuitive tools and techniques and Level II goes deeper, working towards practitioner preparation. Combined, Level I and Level II are a professional course, designed to prepare students to work in the field of the practical application of Intuitive Arts. Make the most of your innate gifts by learning how to use them to assist humanity in this powerful time of shifting change. Level I will focus on the basic tools that form the foundation of Intuitive work. This will include guided meditation and imagery training along with techniques for clearing and healing. We will begin to put into practice what we have been learning. 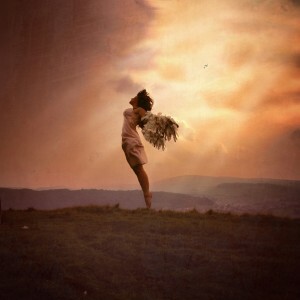 Level I offers one of the main benefits of Intuitive training, which is an ability to have healthy psychic boundaries. We will work with grounding and energy techniques that allow you to ‘hold your space’ in any situation. Level I offers proficient practice of a solid set of tools to assist in psychic healing as well as increased confidence in reaching the Intuitive connection to your highest self, your best guidance. Those who complete Level I will feel confident to begin using their intuitive skills to assisting healing for themselves and others. Complete Downloadable Intuitive Training for $199!! Full Retail Price $300, save $101! Level II offers an opportunity to go deeper with the work and your own process of healing, looking at completing karma and activation of energy centers, preparing for life as a professional Intuitive. This class series broadens the Intuitive training to include energy field activations and advanced techniques of healing and deprogramming the energetic field. Learn protocol and practices to most effectively read the aura/energy body and through practical application, gain confidence in your professional Intuitive skills. 3 months to certification as an Intuitive Healing Facilitator. The Intuitive Training consists of two course levels, which happen one day a week, for twelve weeks each. Level I offers the essential tools of reading and healing the aura/energy body and Level II offers practitioner training and professional preparation. Live Video Classes are a one hour class, starting Wednesday, September 27th. The live video is the content of the class and can be watched later as a replay if you miss the live class or want to review the material again. Discussion groups and student practice sessions round out the coursework. In all, the time commitment for the Intuitive Training is about 2-4 hours a week plus time for meditation practice. But the class is flexible. If you can’t make the live class, just watch the replay video when you next can. The video class contains the information and techniques that will come alive in your individual meditation practice throughout the week. The connection to the group happens through discussion groups and trading practice sessions. This is a power packed curriculum, including information that has previously been taught over three semesters. That means that in just over three months you can gain your Intuitive Healing Facilitation Certification, and begin your career as an Intuitive Healer. These classes offer all of the tools and skills as well as support and community to guide you harmoniously into your role as an Intuitive Healing Facilitator (IHF). Level I offers the foundational skills and tools. Level II focuses on implementing the tools and techniques to support yourself and others on their spiritual path, offering preparation on all levels to be professional Intuitive support for your community. 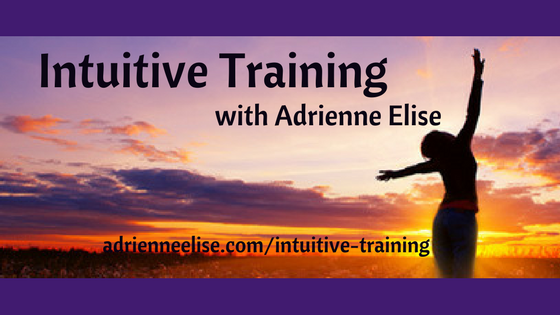 Adrienne Elise is an Intuitive Healer and Teacher, having completed over four years of study with MT Center for Psychic Studies and Intuitive Way, based on BPI (Berkeley Psychic Institute) model. Adrienne is a Classical Homeopath, certified through the School of Homeopathy, Devon, UK. Adrienne completed her Waldorf Teacher Training at the Eugene, OR Waldorf School. She is a Seeker on many paths which integrate as a unique offering in Psychic Training.